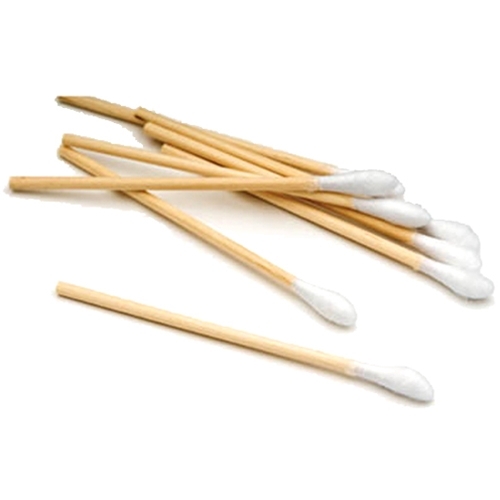 Q Tips Wood Cotton Swabs from HealthyKin.com are single-tipped, wood stick applicators which are versatile. I love this product. The cotton tip stays tightly wound and the long, wooden stick is strong enough to not splinter like some brands. EXCELLENT! These do NOT splinter. I have a problem with tonsil stones and these are excellent for reaching in the throat to swipe them away. Good quality and excellent price. Excellent quality at a great price!!! Much better than cotton swabs for mixing ointments and applying. I ordered the sterile version, but the swabs are long enough to reach the back. I like them so well that I'm ordering the 1000 box next time, and I also love the 3" and will be ordering them as well!